The vessel is named after her country (in English her name would be LITHUANIA). She is owned by the only Lithuanian port city, Klaipeda (the vessel belongs to Klaipeda City Sea Sailing Club). LIETUVA has inscribed many glorious moments of the country’s sailing history. For many years she has been a major training ship for the city youngsters. Constructed in 1976 in Gdansk, the following year her team wins already a major prize in the USSR “Baltic Cup” regatta. 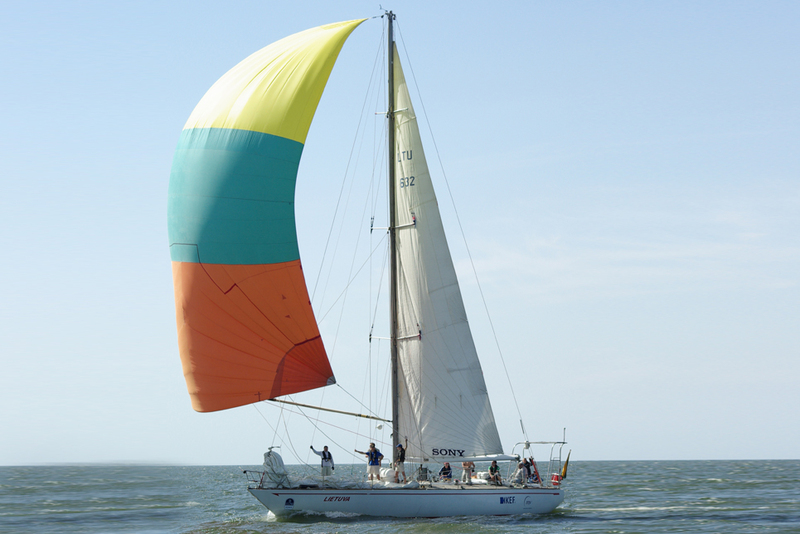 In 1983, she also won a major prize in the Baltic Sea Regatta in Varnemunde, Eastern Germany. Until the official restitution of Lithuanian Independence, LIETUVA was the first to carry the national three colour flag cross the oceans. In 1989 they sailed from Klaipeda to New York, Baltimore and back to Klaipeda again. This was the really first free taste of sea air for the Lithuanian sailors – they heralded the news to the world that Lithuanians will soon be free. The year 1992 has crowned the honourable achievements of the vessel: LIETUVA made the first voyage in Lithuanian history around the world. 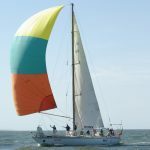 On the way, the young crew of Klaipeda took part for the first time in the Tall Ships’ Races. She also sailed Collumbus’92 – among 400 yachts and sailing vessels from all over the world, and came 1st in the first Race and 2nd in the second Race of the transatlantic competition. She participated in the Tall Ships’ Races in 1996, was the fastest yacht in the Baltic Cup’97 and came 8th in her Class D category. She also finished 21st in the overall results in the Tall Ships’ Races in 2004. Most of the best Lithuanian sailing sportsmen are trained on LIETUVA. Osvaldas, the son of the former famous Captain Steponas Kudzevicius replaced his father at the helm.